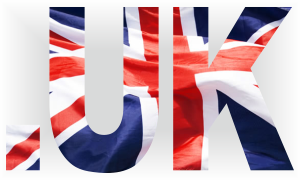 Beginning 10 June 2014, the .UK Domain Name Authority will make shorter .UK domain names (name.uk) available to the public. From this date, the new shorter domain names will be available for registration alongside existing domains such as ‘name.co.uk’ or ‘name.org.uk’. The new domain is a chance to register a short, memorable and trustworthy web address under the .UK extension. More than ten million existing .uk domain holders will be offered the new equivalent of their existing address, with five years to determine whether they want to adopt it in addition to or instead of the domain name they already hold. Following launch, these customers will be contacted by the .UK Domain Authority to ensure they recognise their opportunity to exercise this right. The registry’s WHOIS tool has also been brought up to date to allow people to look up information on who (if anyone) holds the right of registration for a ‘name.uk’ domain. To register the name of your choice under the .UK domain, type the name in the box or contact Web Solutions Support Team at support@web-solutions.eu or via phone on +44 (0) 208 133 3994.